A few substitutions to the traditional rainbow cookie recipe will have you ready for the Fourth of July in no time! 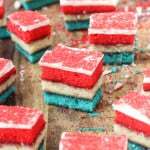 These patriotic rainbow cookies are colored red, white, and blue with raspberry preserves between each dense and almond-flavored cookie layer. They’re topped with white chocolate and red sanding sugar for a festive treat that will feed a crowd! If you’ve been reading My Sequined Life for a little while, a) thank you 🙂 and b) you might have caught on that I have a thing for rainbow cookies. They’ve been my hands-down favorite cookie for as long as I can remember. 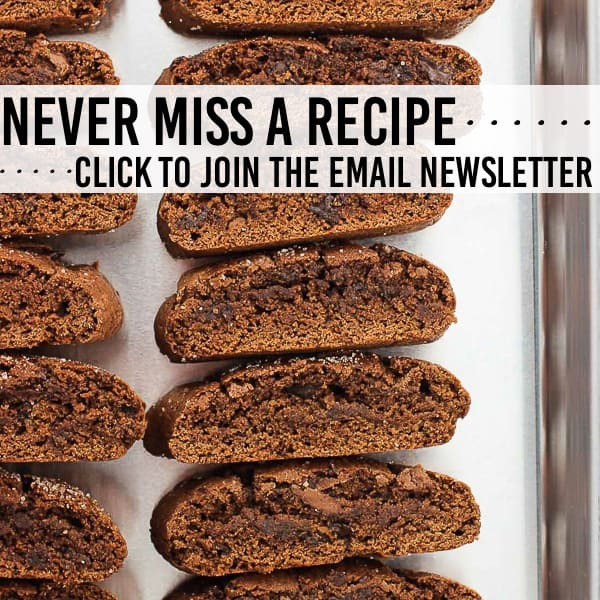 Something about their dense, spongy layers bursting with almond flavor, held together with raspberry preserves and covered in chocolate speaks to me big time. When I was younger I’d request a rainbow cookie cake (a.k.a. one batch of rainbow cookies not cut into slices) for my birthdays, and would have an eagle eye for those precious rainbow cookies in an Italian bakery white-with-red-twine box of the BEST variety of cookies. I will admit that rainbow cookies are not the quickest or easiest batch of cookies to make, but I find the end result worth the effort. It also helps that a lot of the recipe time is inactive, and that each batch makes a ton of cookies. I seem to have fallen into the routine of making them for holidays (or, at least that’s my excuse! ), so I stick some in the freezer to nibble on in the months in between. To date for the blog, I’ve made pastel Easter egg rainbow cookies (look at those early pictures! 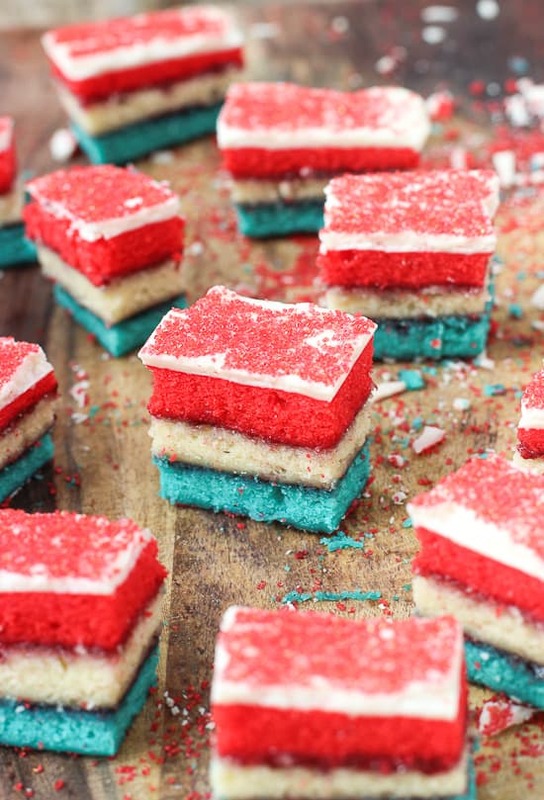 ), a Christmas-tree shaped rainbow cookie cake, and now these patriotic ones. You know come October Halloween ones are happening, but I’m not sure I can wait that long. Columbus Day-themed ones, anyone? 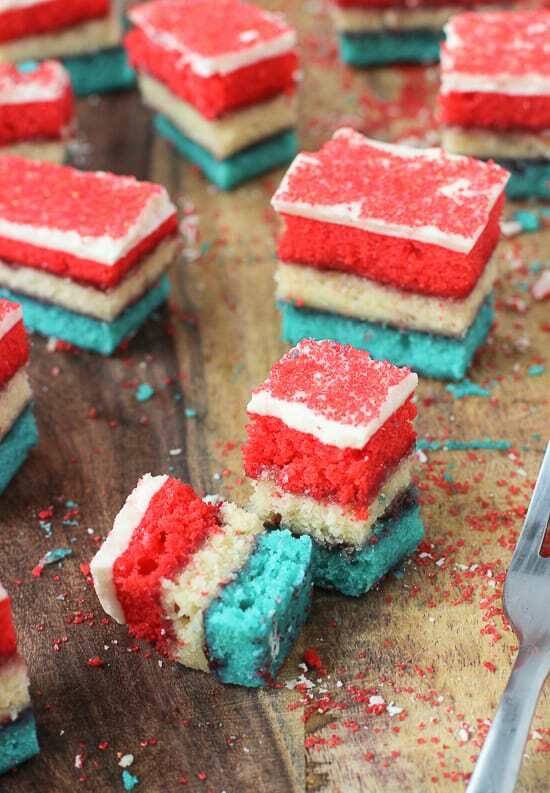 The procedure for these patriotic rainbow cookies is relatively straight-forward. You’ll mix up the cookie batter and separate it into three bowls, two of which will be colored (with red and blue, respectively). Each layer is baked and cooled, and then the real fun begins. Raspberry preserves are heated on the stove top and pressed through a strainer to remove the seeds. 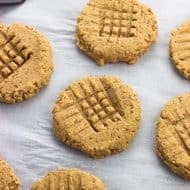 Alternatively I’ve seen these cookies made with apricot preserves, but I have a sweet spot for raspberry so that’s what I used. *Confession time* – in the past I’ve skipped the straining step and haven’t found the seeds to be a problem at all. For this batch I strained, so you decide. Both work! Then I hoovered the scraps. I’m surprised I didn’t get those crumbs in the foreground. 😉 All that’s left is to spread a layer of white chocolate over top and sprinkle with red sanding sugar or your preferred sprinkles, let harden, and then slice! A slicing tip: Cutting from the chocolate layer down sometimes will cause the chocolate to break unevenly. Does it impact the taste? No! But if you’re bordering on type-A you’ll be a little annoyed the edges aren’t straight. To combat this, I flip the cookie slab over (so the blue layer is on the top) and slice that way, giving the knife a nice, firm push when it hits the white chocolate layer, which is right next to the cutting board. This should provide cleaner slices. Whichever way you slice it (literally), these delicious cookies will brighten up your Fourth of July festivities! 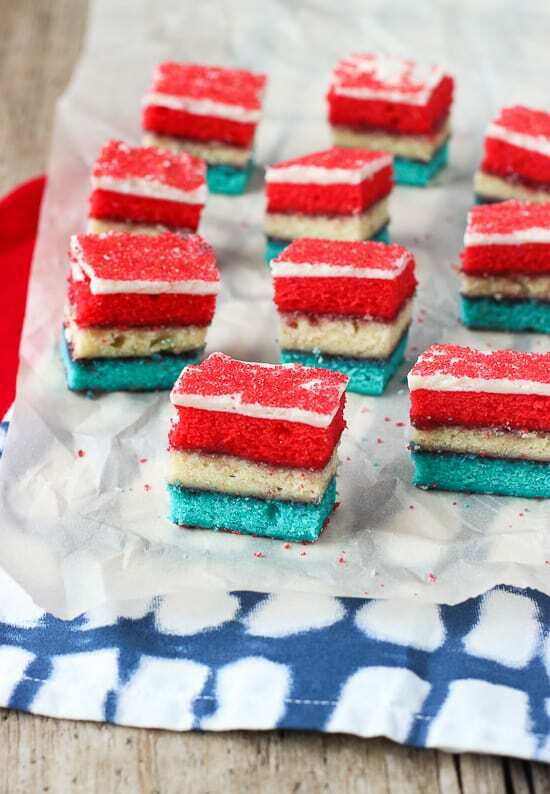 These patriotic rainbow cookies are a festive, fun spin on a classic! Dense and almond-flavored red, white, and blue cookie layers are coated with white chocolate and sprinkles. Separate dough into three equal sections and place each in a separate bowl. 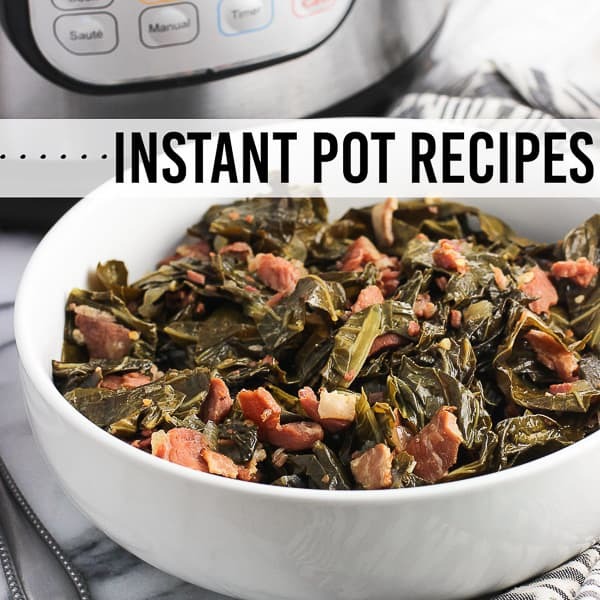 Add red coloring to one bowl, blue coloring to another, and leave one bowl as-is. Stir in coloring to the two bowls. Heat raspberry preserves in a small saucepan set over low heat until mixture is slightly heated throughout. You may strain preserves once heated, but I've found it doesn't detract from the cookies if you proceed without straining. 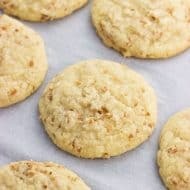 Once cookies layers have cooled, invert the blue layer onto a sheet of parchment paper, and peel off parchment paper that used to be on the bottom of the layer. Spread half of raspberry preserves evenly over blue layer, then invert white layer on top. Peel parchment paper from top side and evenly spread second half of raspberry preserves over layer. Invert the red layer on top and peel off parchment paper. 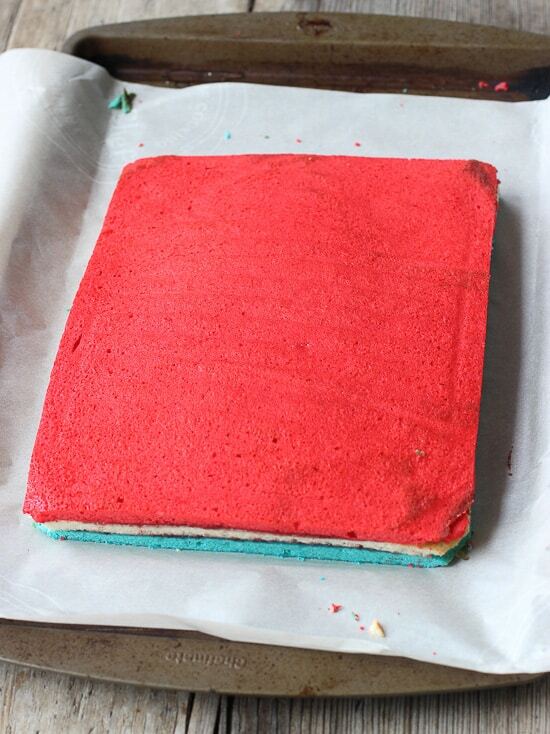 Place a new layer of parchment paper over top of red layer, and wrap cookie layers with plastic wrap. 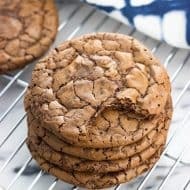 Place a baking sheet on top of cookie layers to weigh it down slightly and refrigerate overnight (or at least four hours). Once cookie layers have chilled, remove from refrigerator. Trim the sides to form an even rectangular shape. 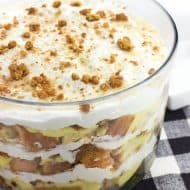 Melt white chocolate using a double boiler or in twenty-second intervals in the microwave, stirring after each interval. Spread a thin layer on top of the cookie "plank". 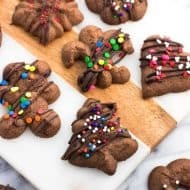 Sprinkle sanding sugar or other sprinkles/decorations on top of melted chocolate and place the pan back in the refrigerator until chocolate has set. Once chocolate has hardened, slice (see note) and serve! Slicing tip - I flip the cookie slab over (so the blue layer is on the top) and slice that way, giving the knife a nice, firm push when it hits the white chocolate layer, which is right next to the cutting board. This should greatly reduce the tendency for the white chocolate layer to break unevenly as the cookies are sliced. Perfect for any patriotic holiday! Love it! You make the prettiest rainbow cookies! I am still too scared to try making them because I have a feeling they won’t turn out. Yours always look perfect 🙂 Love these beautiful red, white and blue ones! So fun and patriotic! Thanks Sues! I have to admit just about all of this batch is long gone…guess I have to make them again for the actual 4th! Alyssa, these cookies are soooooo awesome! They look so perfect and who doesn’t love colorful themed desserts? Love these! Thanks Danielle! 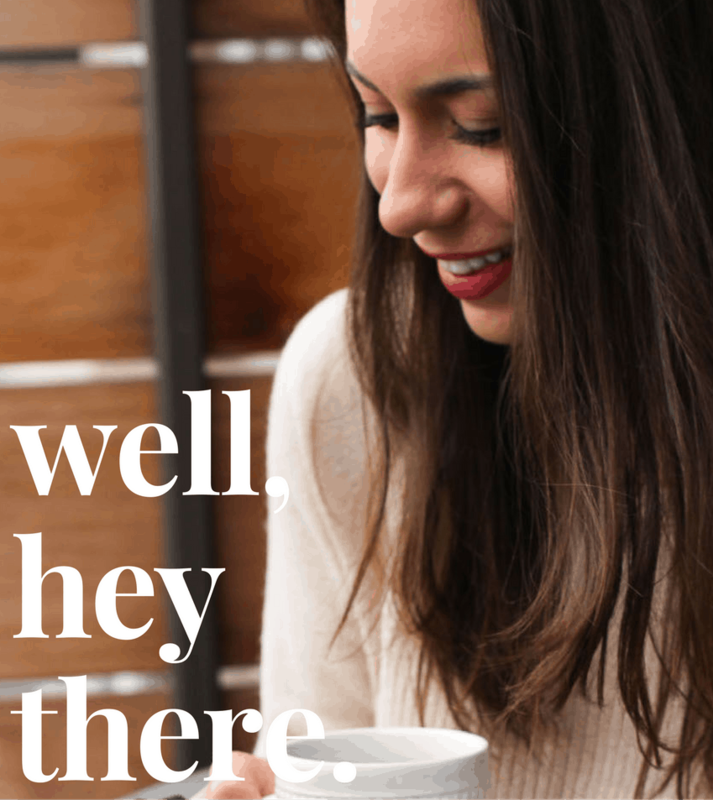 Really I’m just looking for ANY and all excuses to make rainbow cookies – they’re my favorite! 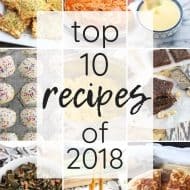 They make a ton of cookies though so they’re a great one to make for a crowd. These cookies are gorgeous! I love how fun and festive they are for the summer holidays! These cookies are so fun and patriotic! I’ve never tried a rainbow cookie, but you make them sound delicious! I love that they are flavored with almond! Wow these cookies are gorgeous, Alyssa! I’ve never made a rainbow cookie before, but you are totally inspiring me to do so. I love the red white and blue cookies! 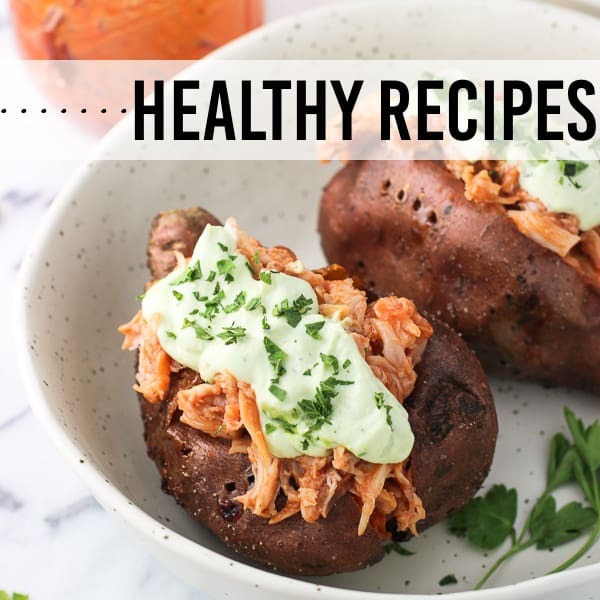 And they look so delish, too! Thanks Gayle! Ugh they are my faaaaavorite. I definitely took for granted how prevalent they were up in NJ where I’m from! Soooo good. I just finished the final stage of these cookies (put the white chocolate and red sprinkle sugar on top) and the cookies are back in the frig. My last step is to cut them. I am very nervous to invert the entire cake (white chocolate face down??) and then cut them that way? Won’t it mess up the white chocolate topping?? ?